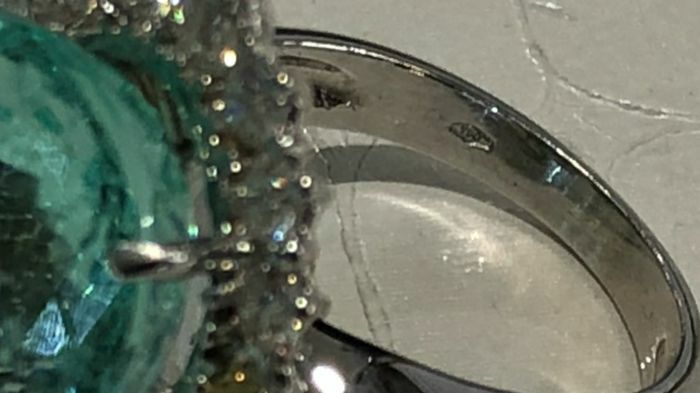 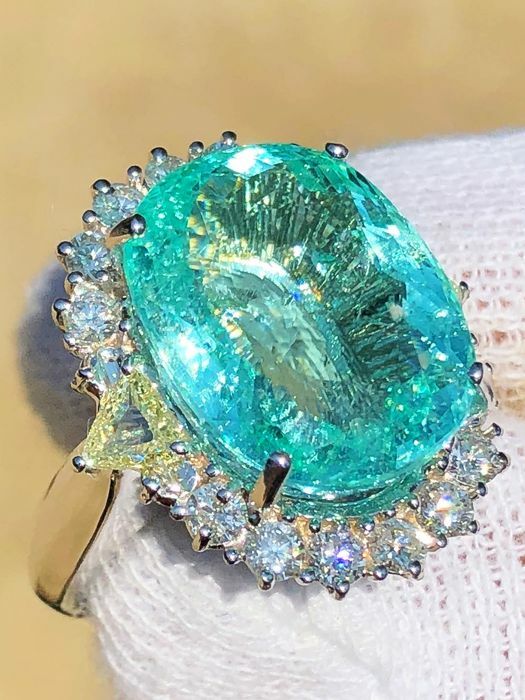 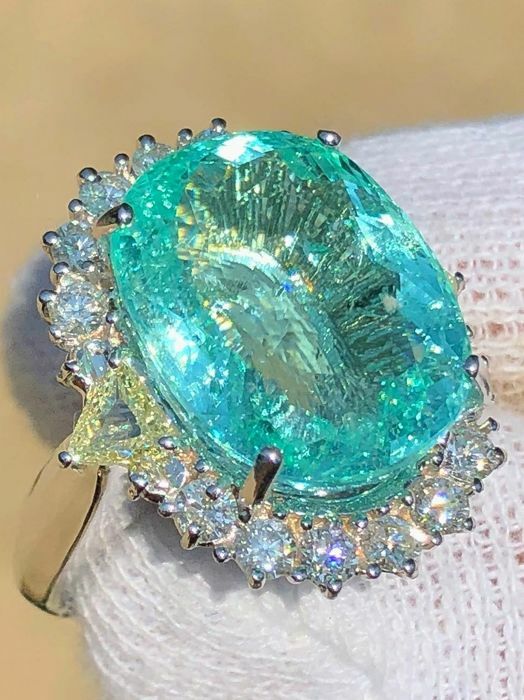 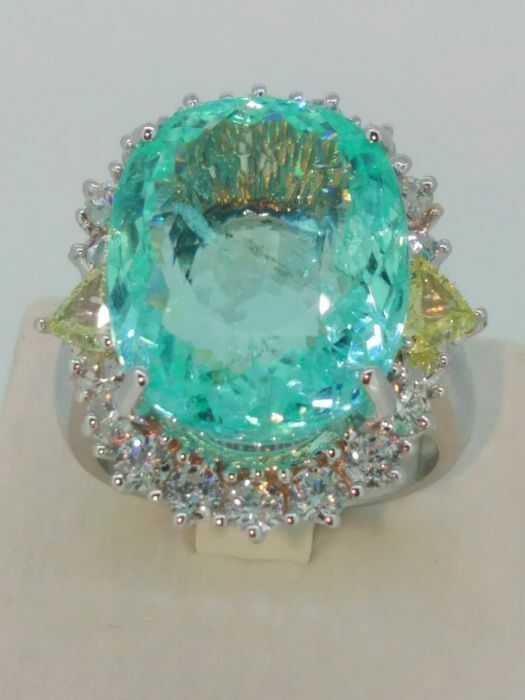 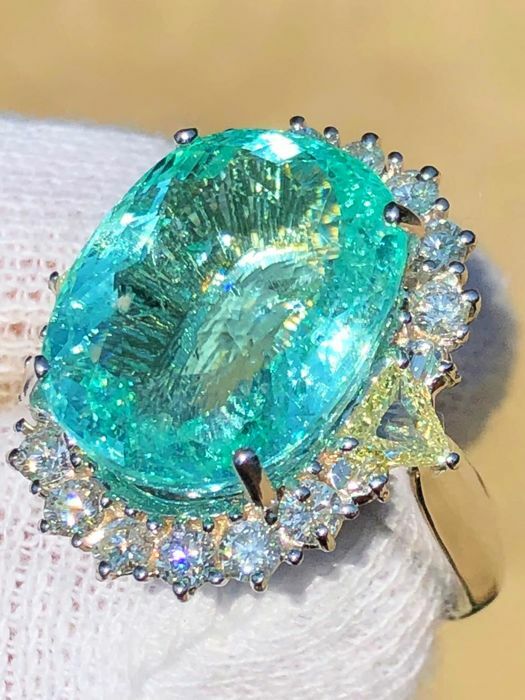 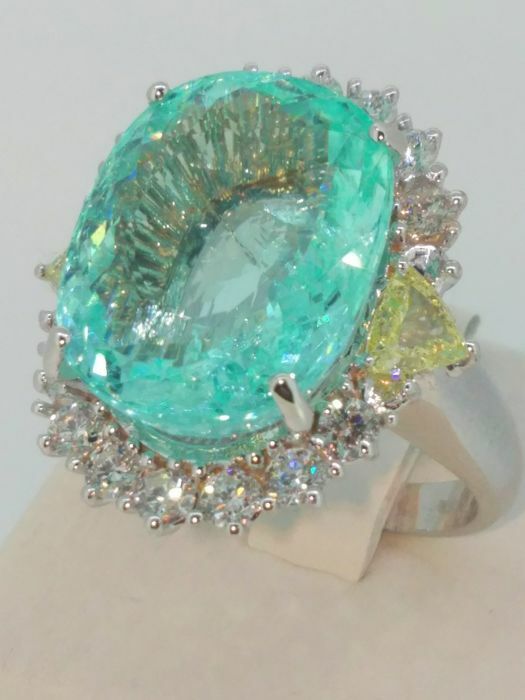 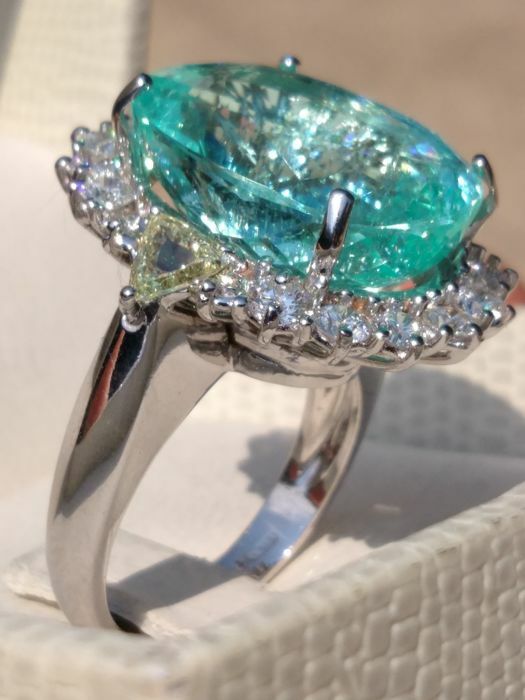 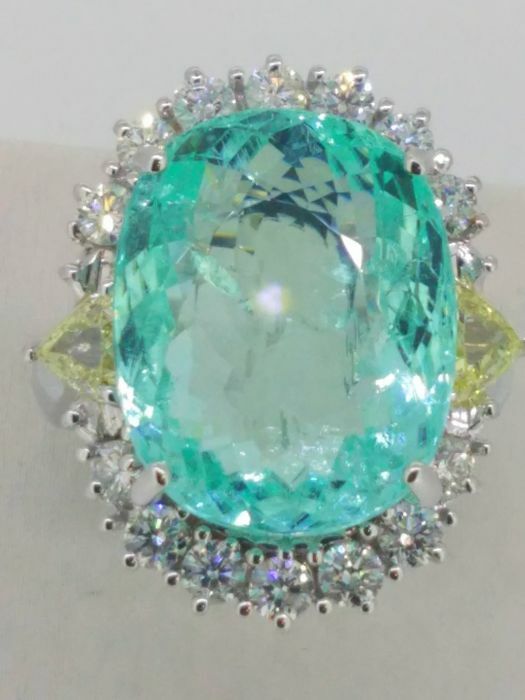 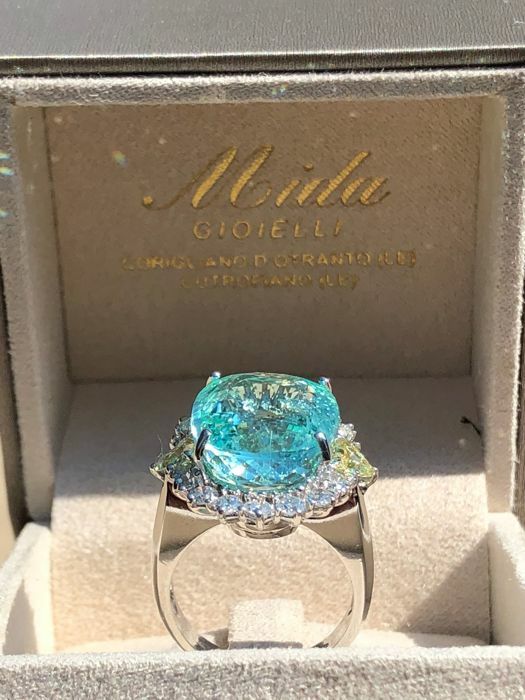 White gold ring with very rare GIA-certified blue Paraiba tourmaline of 15.97 ct of unparalleled beauty. 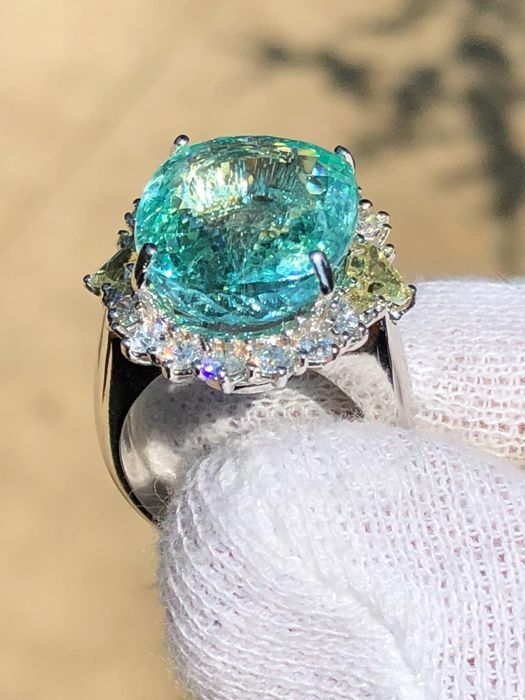 Lovely union of green from the Paraiba tourmaline (Manganese/copper) and white from the classic top quality diamond. 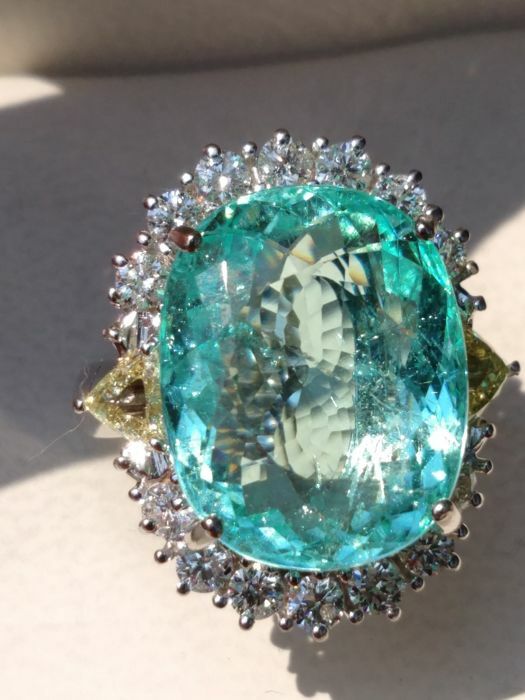 The story of Paraiba tourmaline tells us about the continental drift. 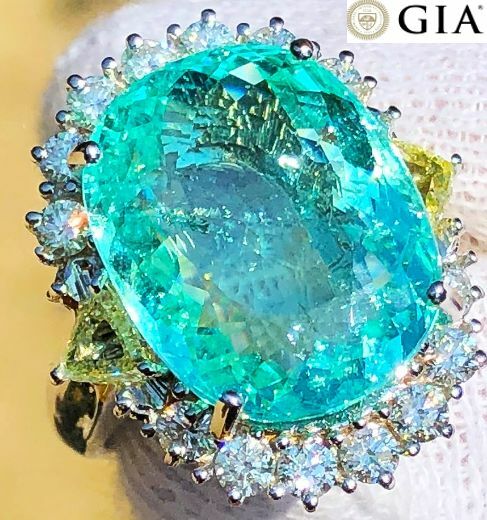 Its colour ranges from blue to green to bright turquoise, as if to capture the most serene tropical skies or the green of a coral reef; in reality these bright hues are derived from the presence of copper. 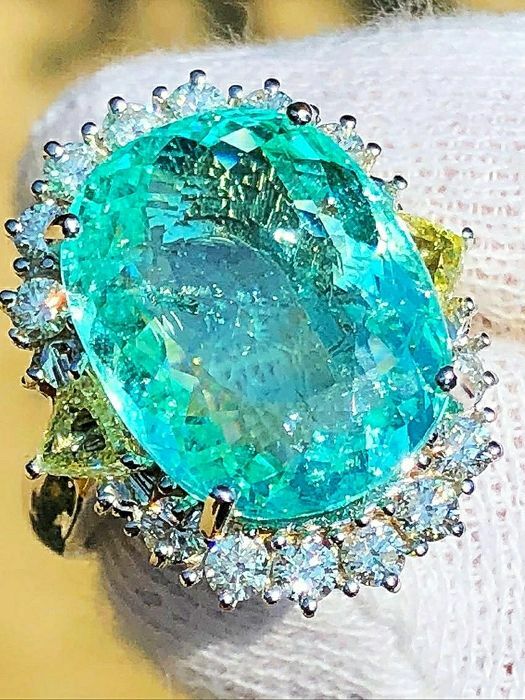 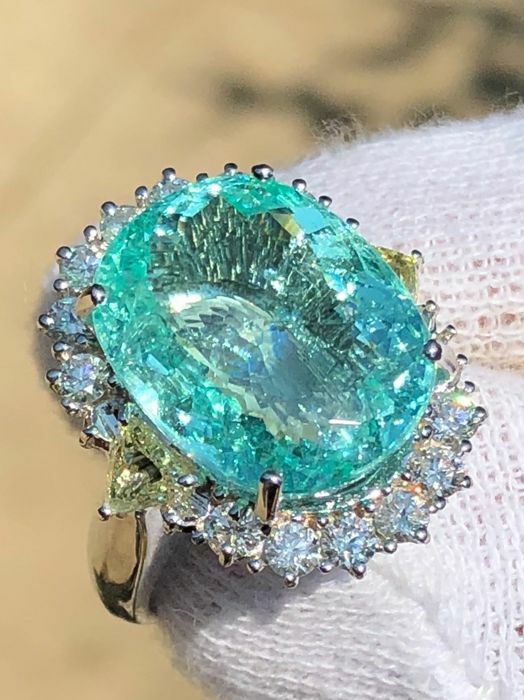 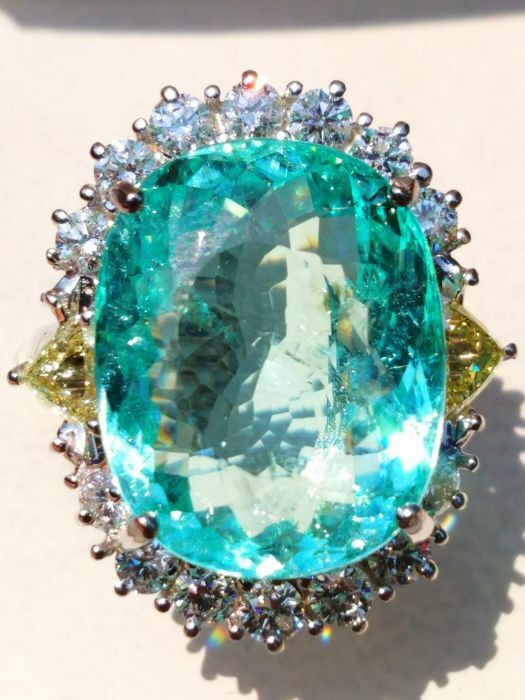 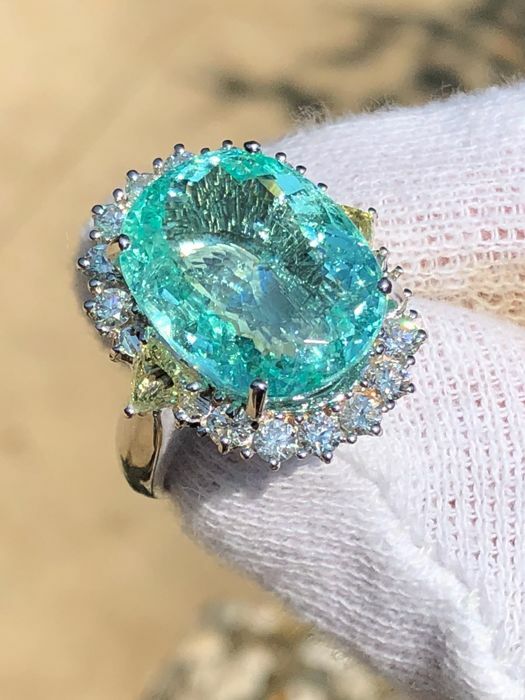 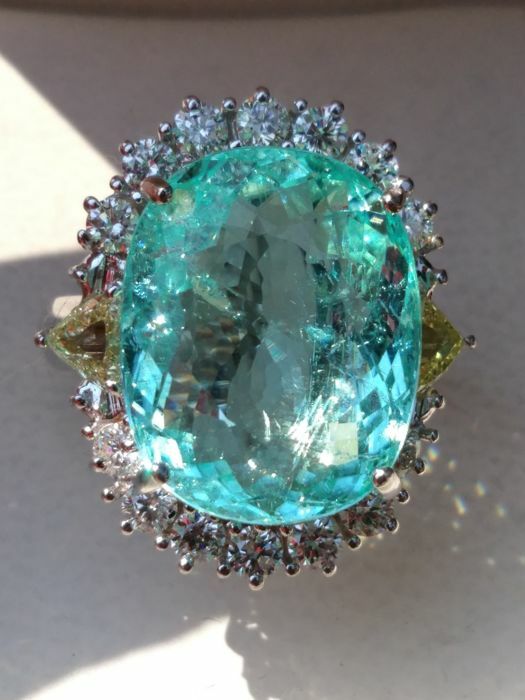 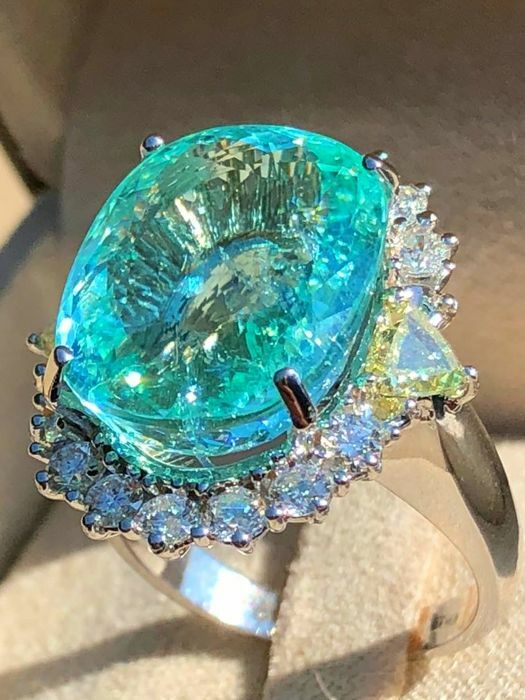 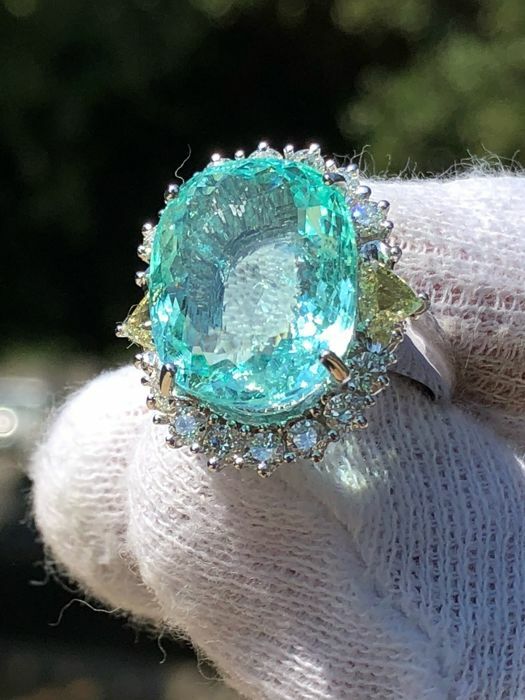 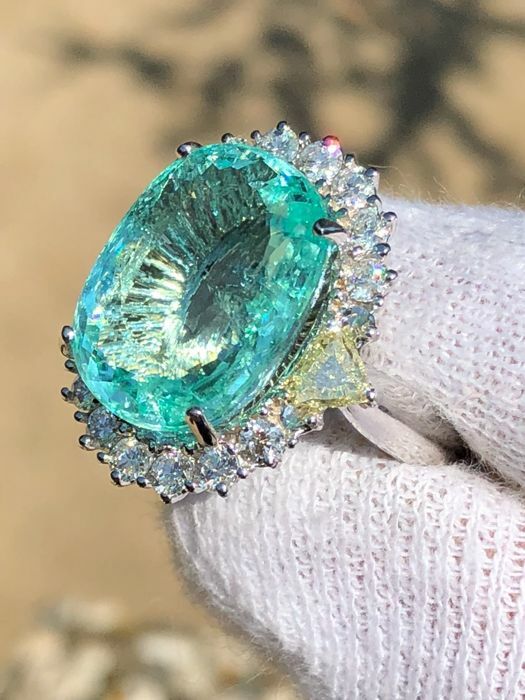 These are considered amongst the most precious and rare of all gems, especially since it seems that only one Paraiba tourmaline is mined for every 10,000 diamonds. 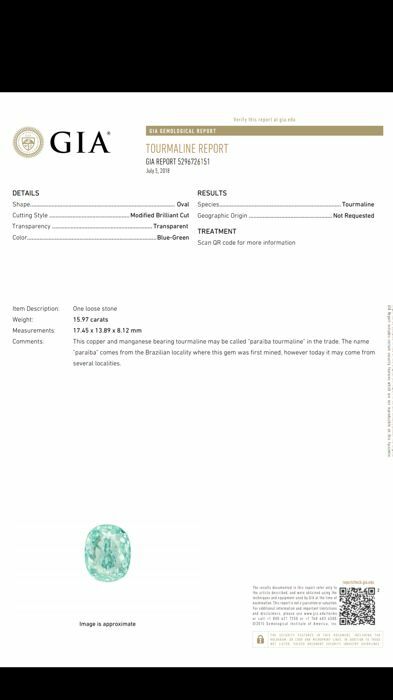 Accent diamonds for 1.20 ct, D-E/VVS, approx. 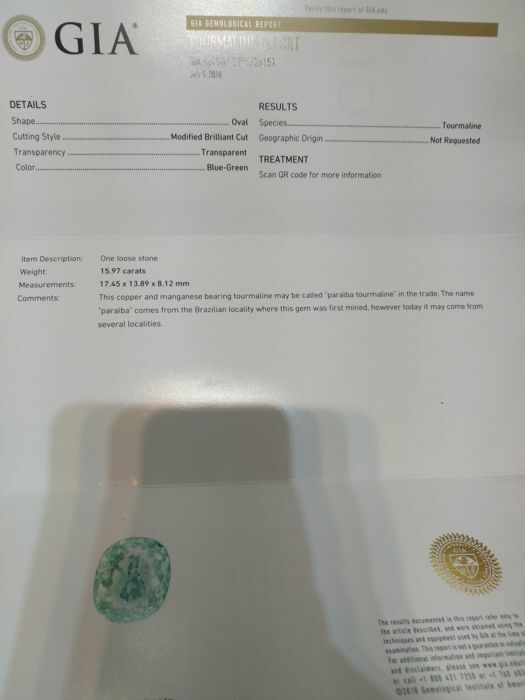 0.07 ct each. 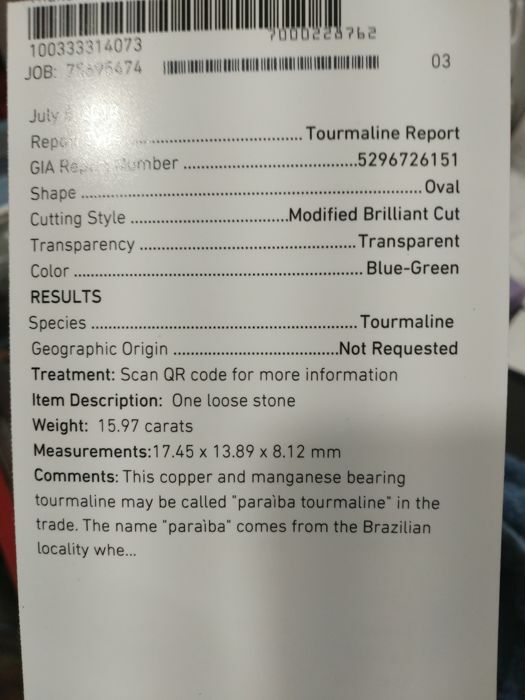 Please be aware that your country may apply customs duties/import taxes. 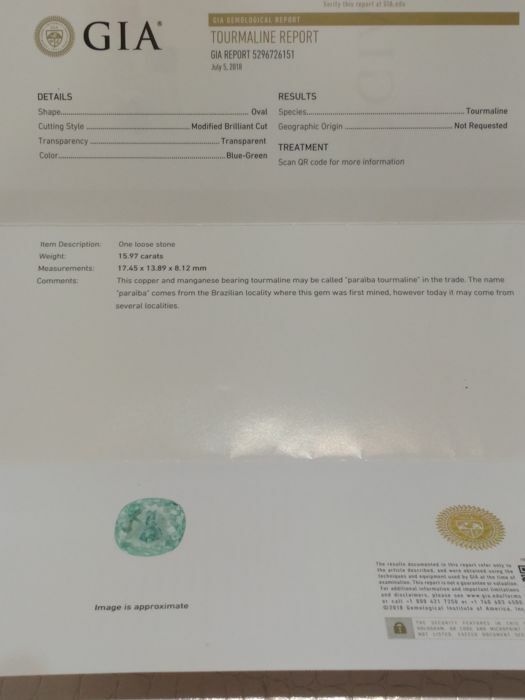 Voit noutaa tämän erän myyjältä: Venafro (Italia Isernia Venafro), Italia.